Rainwater harvesting dates back to early civilizations, however in 2017 we see the cost of water driving the interest in collection of rain water to the forefront in building designs. From large commercial buildings to residential design, the incorporation of collecting water has seen a wide variety of systems developed, and varied applications on successfully recycling water into our environment. You can incorporate a simple rainwater collecting tank off your home roof collection downspout, or to large scale underground holding tanks and pumps for large commercial applications. 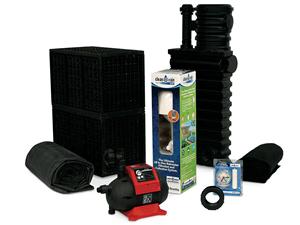 For ease and simplicity for most residential installations we recommend working with complete kits available through Kenney Outdoor Solutions and Atlantic Water Gardens. These kits, complete with submersible on-demand pumps provide everything you need to store and distribute up to 1000 gallons of harvested water. 1.Easy to maintain- the overall cost of installation and ongoing maintenance is minimal and easy to maintain making it an easy option to incorporate with most residential or commercial irrigation designs. 2.Reducing water utility bills – water collected by the systems can be used for several non-drinking functions and thereby reducing the use of city water and lowering monthly water bills. 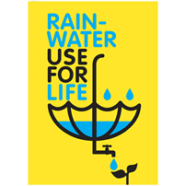 Rainwater is free from many chemicals and makes it suitable for irrigation and watering gardens. 3.Reduces demand on groundwater-with increased population and higher demand for water, in many areas there are concerns on depletion of precious ground water supplies. What you going to do when the well runs dry? Landtech Design provides technical and design support to Architects, Landscape Architects and professional irrigation contractors.